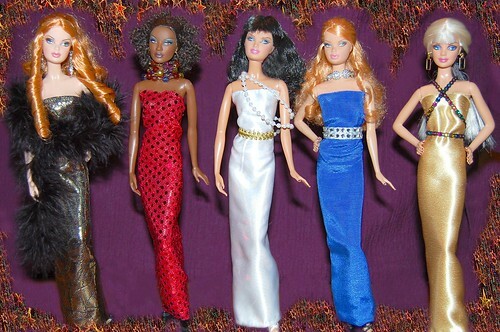 The night wouldn't be complete without a glimpse of Mattel Top Models Lacy, Nikki, Figaro, Summer, and Barbie arriving at one of the many 2009 Inaugural Balls. Best wishes to our new administration and congressional members, and a fast recovery to Senator Kennedy. Who are they wearing? Becks, of course.